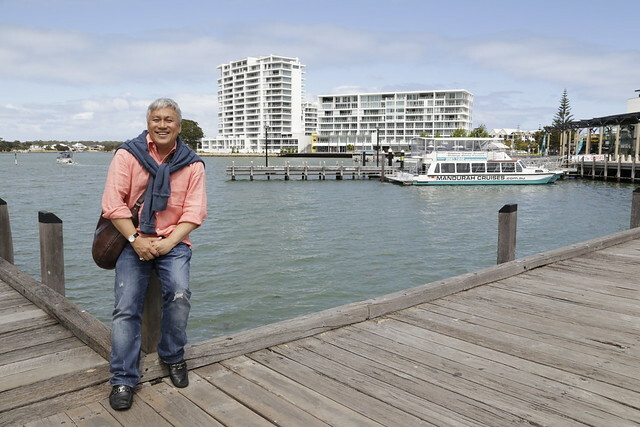 Eat Drink Buy WA - See Perth and Margaret River with Chef Wan! You guys know Perth is increasingly happening and Margaret River is a mini Mecca of great produce and food. Now Tourism Western Australia just launched an Eat Drink Buy WA campaign that features a whole suite of travel packages including foodie tours led by Malaysian culinary personality Chef Wan! 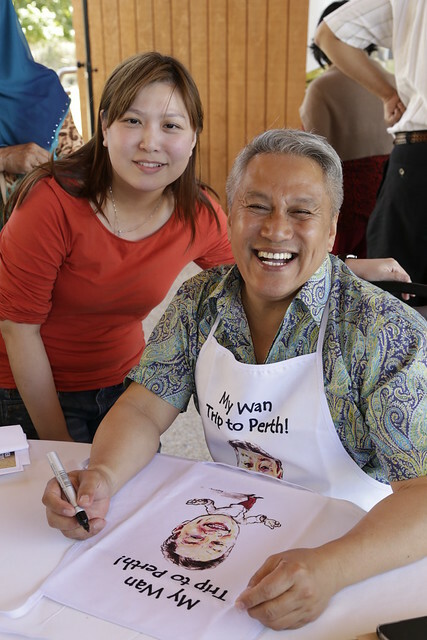 Chef Wan is such a high-spirited and natural comedian, so it's hard not to find him entertaining and adorable. When we met him at the residence of the H.E Philip Green, Australian High Commissioner to Singapore for the launch of the campaign, he instantly charmed us all. Oh how he regaled us with stories of his naughty childhood being punished in school for talking too much (hey, that's a valuable life skill, from the looks of it!). He also emphasised the importance of being diligent and having the pride in doing things right. Even as a waiter in his days studying in Australia, he was super dedicated and observant. That trait pays off, because people will notice and value you. The tours cover Margaret River attractions such as Farmers’ Market, Cheeky Monkey Brewery&Cidery, Olive Farm and Vasse Virgin Olive Oil and fruit picking at Wonky Windmill Farm & Eco Park in the Margaret River region as well as Swan Valley attractions such as Whistlers Confectionery, Mondo Nougat, The Cheese Barrel, Asparagus Master Class at Edgecombe Estate and Caversham Wildlife Park. Foodies will also get to visit the Lobster Shack and Pinnacles Desert in Cervantes and ride over the sand dunes in Lancelin. Package prices start from S$1,488 without taxes. The prize includes a pair of air tickets to Perth with accommodation, tour and tickets to the Gourmet Village during the Margaret River Gourmet Escape – worth S$4,000. Four pairs will be given away together with other attractive prizes worth a total of S$17,000 in September 2015. For more information, visit Bestperthdeals.com/Singapore. Terms and conditions apply. All photos (except Instagram one) courtesy of Tourism Western Australia. I love when I have weekends off from my storage business and blog posts like this remind me off the multitude of things to do around the area too!